Palo Alto, California, USA and Zurich, Switzerland - January 15, 2013 - IBM (NYSE: IBM) Research scientists Gerhard Meyer, Leo Gross, and Jascha Repp have been awarded the prestigious 2012 Feynman Prize for Experiment by the Foresight Institute at its annual conference. 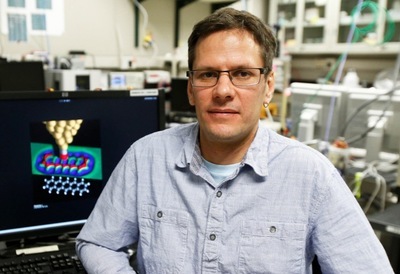 IBM scientists first to produce images that identify structures critical to designing future molecular systems and building electronics at the nanometer scale. 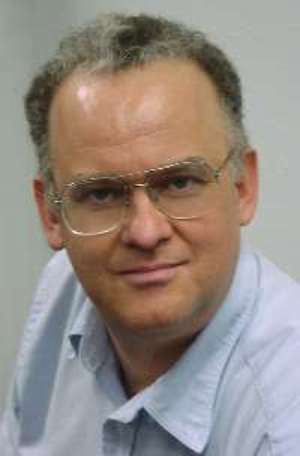 IBM Researchers Gerhard Meyer, Leo Gross (pictured) and Jascha Repp (now at Regensburg University) won the prestigious Feynman prize given by the Foresight Group. The team of research scientists was the first to produce images detailed enough to identify the structure of individual molecules, as well as metal-molecule complexes. They have also been able to accurately deconstruct individual chemical bonds which provide key insights into designing future molecular systems and nano scale devices. IBM (NYSE: IBM) Research scientists Gerhard Meyer, Leo Gross, and Jascha Repp (Dr. Repp now works at Regensburg University) have been awarded the prestigious 2012 Feynman Prize for Experiment by the Foresight Institute at its annual conference. According to a statement by the Foresight Institute, the Prize recognizes the scientists for their remarkable experiments in advancing the frontiers of scanning probe microscopy. They were the first to produce images of molecular orbitals and charges detailed enough to identify the structure of individual molecules, as well as metal–molecule complexes. They have also been able to precisely make and break individual chemical bonds. These developments provide crucial insights and tools for the design of future molecular systems. Ralph C. Merkle, Chairman of the Prize Committee. "The work of these Feynman Prize winners has brought us one step closer to answering Feynman's 1959 question, 'What would happen if we could arrange atoms one by one the way we want them?' And the ability to simulate and manipulate atoms advanced by the work of these Prize winners will enable us to design and build engineered molecular machinery with atomic precision. It will take us another step on the way to the development of revolutionary nanotechnologies that will transform our lives for the better." The awards were presented at the 2013 Foresight Technical Conference in Palo Alto, California. The Foresight Feynman Prizes were established by the Foresight Institute in 1993. They are named in honor of Nobel Prize laureate Richard Feynman, whose influential essay entitled "There's Plenty of Room at the Bottom" inspired the first work on nanoscale science. The Institute awards Feynman prizes each year to recognize researchers - one for theoretical work and one for empirical research - whose recent work has most advanced the field toward the achievement of Feynman's vision for nanotechnology: molecular manufacturing, the construction of atomically precise products through the use of molecular machine systems.